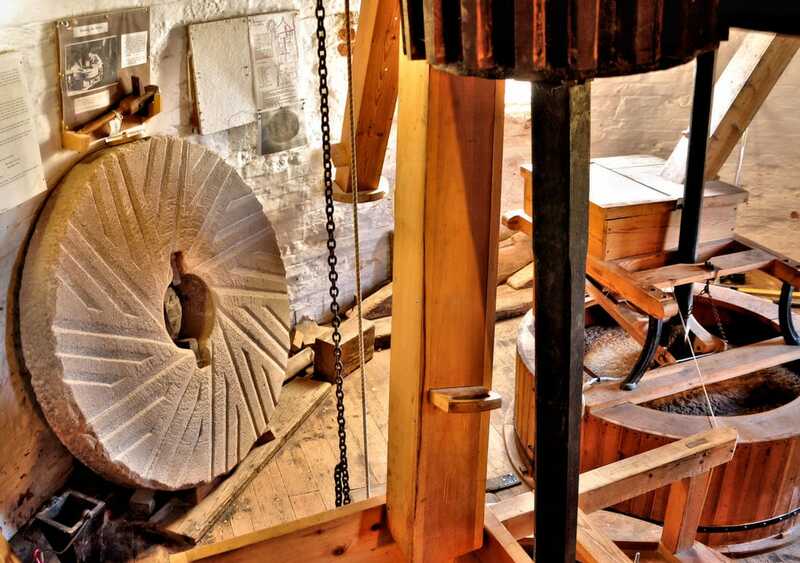 ​Heckington windmill is fully operational and we have the ability to grind our own wheat for flour. The mill contains 6 floors - the ground (loading) floor, meal floor, stone floor (at gallery level), bin floor, top floor and dust floor, immediately below the cap. The 8 sails are kept facing into the wind by the fan tail at the rear of the cap. The sails are attached to the wind shaft which transfers the power from the sails into the drive shaft which runs down to the stone floor to turn the mill stones. The two bin floors are used to store wheat, the grain being raised up from the ground floor by the sail powered chain hoist. 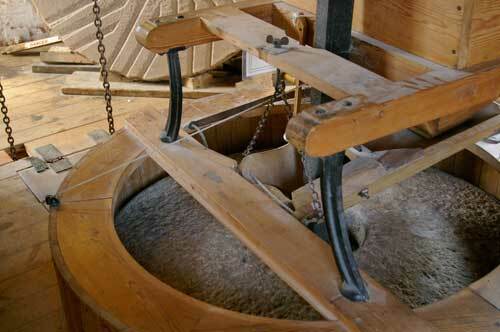 Gravity brings the grain down from the storage bins into the mill stones where it is ground into flour. The flour then travels down shutes to the meal floor where it is weighed and bagged for sale. We have two types of mill stone, Derbyshire grit stones which produce wholemeal flour and French stones, used for white flour. The output from the French stones needs to be bolted (sieved) to remove the bran, so you can also buy stone-ground white flour. The sieving process also produces a flour we call Special Brown which is high in bran, and bakes a brown loaf. All our wheat is English, and for the last few years has been grown around the village of Heckington, in sight of the windmill. It makes very good bread, using both traditional methods and bread machines, it is also good for cakes and biscuits. Recipes are available at the mill to help you get the most from our stone ground flours. At the height of its working life, the mill frequently worked around the clock. Forty sacks of grain (5 tonnes) per day were often exceeded. 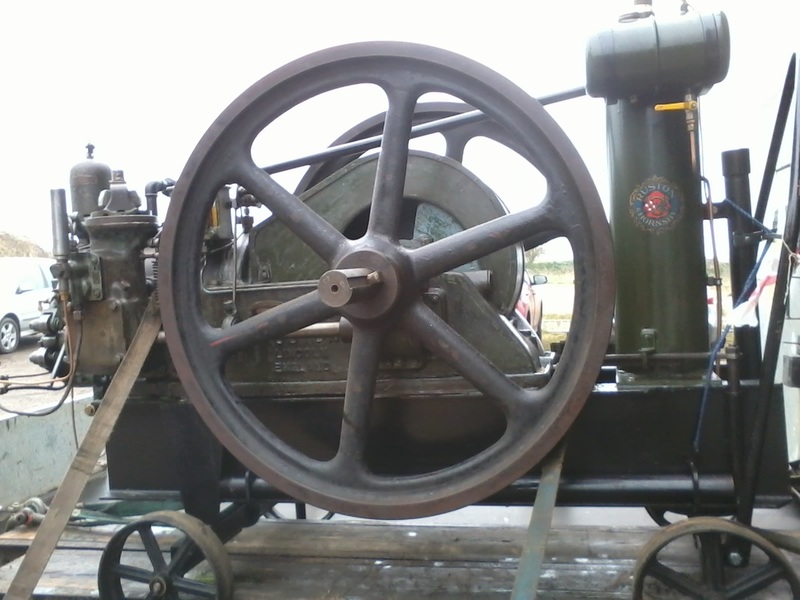 A Ruston of Lincoln oil engine installed in the adjacent engine shed ensured that the mill continued to work even when there was no wind. 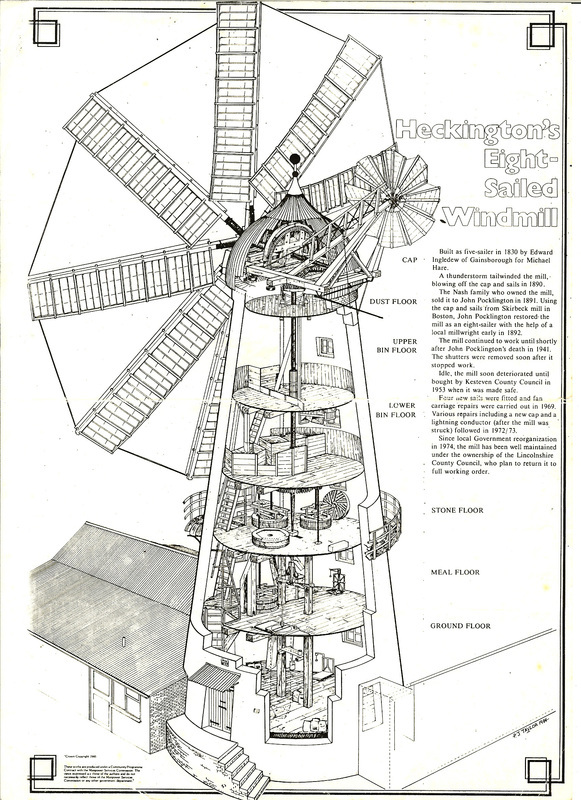 Heckington mill originally started life with 5 sails.